Kern County ranks first in overall gold production within the California Desert. 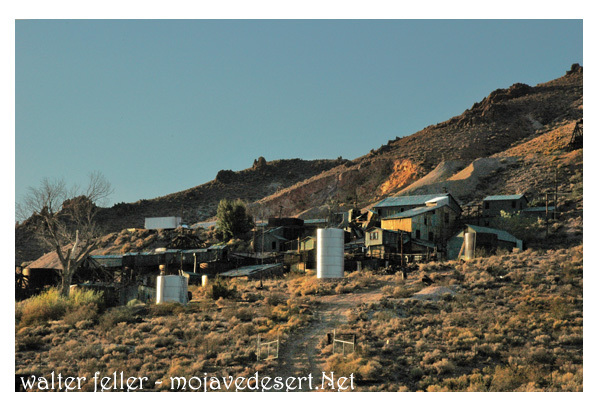 The dollar figure has been estimated at over 46 million dollars, with almost half of that coming from just two gold mines: the Yellow Aster near Randsburg and the Golden Queen near Mojave. Two hundred and seventy-six gold mines exist in Kern County. By comparison, San Bernardino County (twice as large as Kern) has produced a total of only 12 million dollars in gold from approximately 145 mines. Kern County's entire mineral production (including petroleum products) from 1880- 1957 has been 5.34 billion dollars, making Kern County the top ranking mineral producer in the entire state. Although accounting for an impressive 90 percent of Kern County's entire mineral production figure, petroleum fields are not found within the study area and this commodity is not discussed herein. Kern County's most important mineral contribution from the California Desert is gold.